The VAK 191B was originally designed to be a low altitude nuclear strike fighter for NATO. 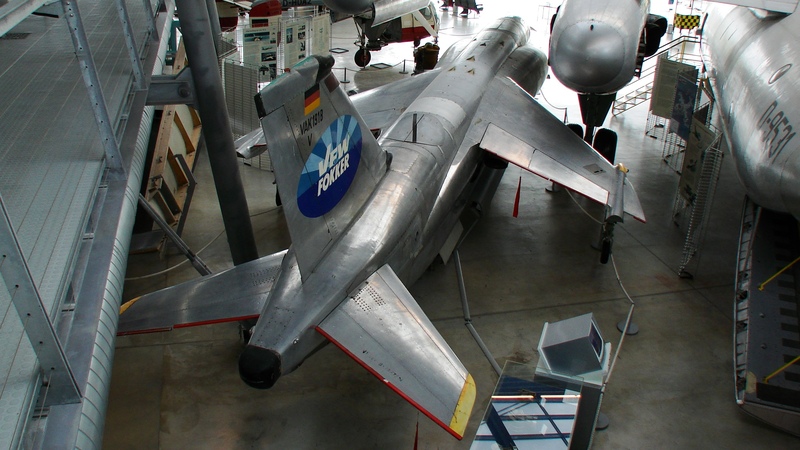 The project was funded by both Germany and Italy (on a 60/40 basis) with VFW and Fiat Aviazione the primary airframe companies and Rolls-Royce/MTU responsible for the engines. The aircraft used two Rolls-Royce/MTU RB.162-81 lift engines (6,000 lb thrust each), one mounted directly behind the cockpit and one aft of the wing, plus a MTU/Rolls-Royce RB.193-12 vectored thrust turbofan engine (10,163 lb thrust) mounted between them. 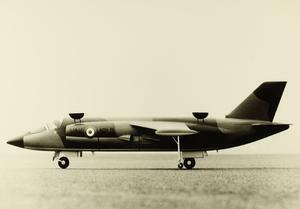 The RB.193 was a scaled down version of the Roll Royce Pegasus engine used on the Kestrel/Harrier. The program was canceled due to a change in NATO strategy. 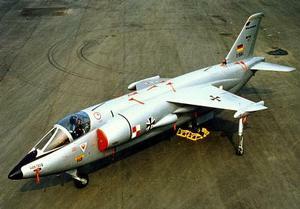 Resources related to the VAK 191B , provided by the Vertical Flight Society. Resources related to the VAK 191B , provided by public sources across the internet.